The Japanese Studies Centre will be hosting a postgraduate symposium to be held at Monash University. This symposium centres on the theme of ‘Race and Diversity in Japan and Japanese Studies’—a theme that reflects the diversity of research topics in the discipline of Japanese Studies, while also highlighting the growing diversity of junior scholars conducting interdisciplinary research on Japan. Today, postgraduate students come from many parts of the world and from many different ethnic backgrounds, religious affiliations and gender/sexual orientations. The theme of this conference poses important questions, such as: What does it mean to conduct research that moves beyond the normative structures of Anglo-Australian, Anglo-American, Japanese-migrant or other frames of reference that have traditionally dominated Japanese Studies? 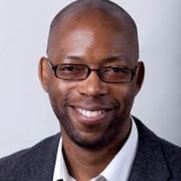 Keynote Speaker Professor Marvin Sterling (Indiana University) will discuss his experience as an Afro-Caribbean anthropologist researching Japan, reflecting on the extant disciplinary divides historically and currently present in scholarship of the African and Asian diasporas. 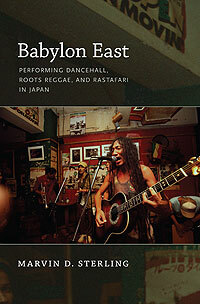 Sterling’s book Babylon East (Duke University Press, 2010) has been widely acclaimed as an exemplary critical analysis of race in Japan. Postgraduate students, at any stage of their degrees, currently engaging with Japan or Japanese Studies are invited to participate in this interdisciplinary symposium. Papers situated within any discipline and utilising any methodological/theoretical approach are welcome. This is a free event, but postgraduate bursaries of up to $500 will be available to interstate attendees (note: the number of bursaries and their amount to be finalised after CfPs are received). This event has been generously funded by the Japanese Studies Association of Australia Small Grants Scheme and the School of Languages, Literatures, Cultures and Linguistics Research Committee (Monash University).